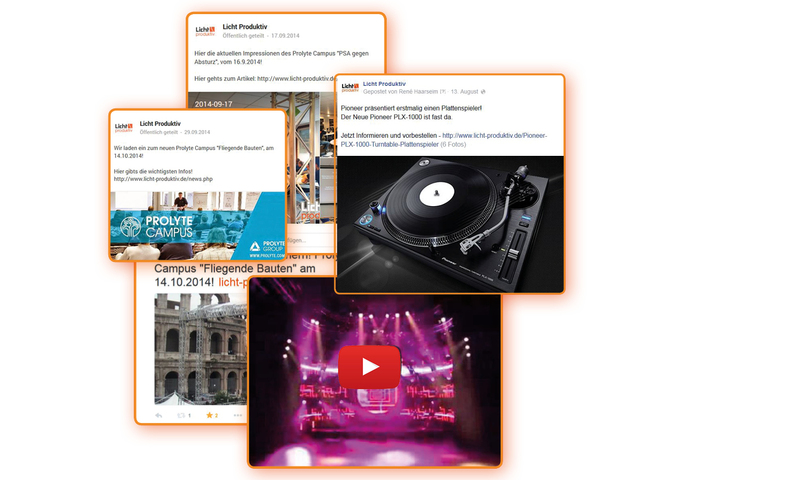 Whether Facebook, Instagram, YouTube or Twitter, you will find Licht-produktiv everywhere. Follow our social-media accounts to keep up to date when it comes to event equipment. Never miss one of our posts introducing the newest and most innovative products which you will surely want to have as part of your equipment. Are you on the lookout for exciting training sessions? Then don’t miss our posts about our open day, the Prolyte Campus and other training events. On here, you can also find impressions of the events we planned and executed. A simple “tap” will give you an amazing insight into our company and product range. So follow us on Facebook, Instagram, YouTube and Twitter!